An alternative to Earthly abiogenesis is “exogenesis”, the hypothesis that primitive life may have originally formed extraterrestrially, either in space or on a nearby planet such as Mars. Such ideas have had many eminent supporters over the years, including Francis Crick, the co-discoverer of the structure of the DNA molecule, and the astrophysicist Sir Fred Hoyle among others. These theories may go some way to explaining the presence of life on Earth so soon after the planet had cooled down, with apparently very little time for prebiotic evolution. In the 1980s, Hoyle developed and promoted, along with fellow astronomer Chandra Wickramasinghe, the theory of “panspermia”. This is the idea that the origin of life on Earth must have involved cells which arrived from space, and that evolution on earth is driven by a steady influx of viruses arriving from space via comets. Hoyle calculated the chances of the simplest living cell forming out of some primordial soup as infinitesimally small, and described that theory as “evidently nonsense of a high order” (although others have argued that Hoyle's own line of reasoning incorporates a number of logical mistakes and omissions). In the aftermath of supernova explosions and the process of star formation, many hydrocarbon molecules (those made entirely or mostly out of hydrogen and carbon), including formaldehyde, hydrocyanic acid and other so-called pre-biotic molecules, are spontaneously formed in nebulae. Such pre-biotic molecules appear to exist across the universe, and existed before the creation of the Solar System, although it is thought that about 9 billion years or so of star-making were required to produce the right conditions. Some complex compounds found in outer space, such as glycoaldehyde for example, have been made to react in laboratories to make a sugar called ribose, a key ingredient of ribonucleic acid (RNA) which, with the removal of an oxygen atom, becomes DNA (deoxyribonucleic acid). It is generally agreed that these compounds are not themselves products of life, but form spontaneously by banal chemical reactions. They are, however, able to interact to form more stable, typical organic compounds, many of them similar to substances found in living organisms. 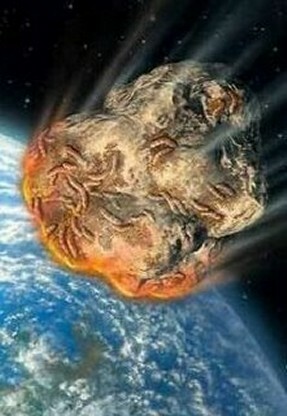 Spectroscopic analysis of radiation, meteorites and comets has revealed the presence of amino acids and other biologically significant compounds on celestial bodies, including, but not limited to, the famous Murchison meteorite (which fell on Australia in 1969), Halley’s Comet (a recurring visitor to the neighborhood of Earth) and Saturn's moon Titan (the seas of which are believed to be made of hydrocarbons). The Murchison meteorite, a remnant from the very early days of the Solar System, has been found to contain 411 different organic compounds, including 74 amino acids, 8 of which are found in the proteins of living organisms. In particular, recent analysis has shown that it contains some quite complex organic chemicals, called uracil and xanthine, which can form the self-replicating molecules that are the essential genetic ingredient of all known lifeforms, RNA and DNA. Water, usually considered a prerequisite for life as we know it, has been identified as perhaps the most common triatomic molecule in the universe, and most comets are substantially composed of water (and other) ices. It is thought that much of the water on Earth may have been borne here by comet collisions in the early years of the Earth. But, additionally, we now know that many comets are encrusted by outer layers of dark material, thought to be a tar-like substance composed of complex organic material and formed from simple carbon compounds after reactions initiated by ultraviolet light irradiation. Studies have shown a strong correlation between the abundances of hydrogen, carbon, oxygen, nitrogen and sulphur in living organisms and in material found in comets. Indeed, there seems to be ample evidence that organic matter is spread throughout the galaxy and the universe, in asteroids, comets, meteorites and even in the gas and dust in interstellar space. In addition, simulations have shown that a glancing approach from a comet would allow for the melting and depositing of water into the Earth's atmosphere, rather than the complete vaporization a direct hit would cause. Furthermore, it has been experimentally demonstrated that simple amino acids could survive a glancing impact, and in fact the extreme conditions and temperatures of such an impact may even help them combine into more complex molecules. A rain of material from comets and meteorites could therefore have brought significant quantities of complex organic molecules to the primordial Earth. An alternative source of first life which has been suggested is our neighboring planet, Mars. Being smaller in size, Mars cooled before the Earth (by several hundreds of millions of years), allowing prebiotic processes to develop there while the Earth was still too hot. 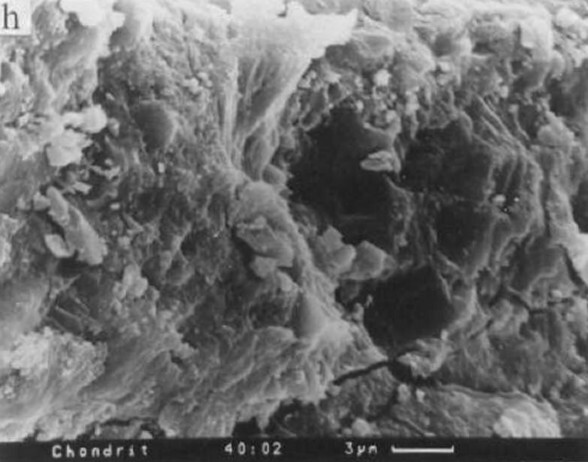 Life, it is argued, could later have been transported to the cooled Earth when material was blasted off the crust of Mars by asteroid and comet impacts. Because Mars continued to cool faster (and eventually all but lost its atmosphere), the hypothesis continues, it eventually became hostile to the continued evolution, or even the existence, of life. Although the Earth may well be following the same fate as Mars, it is doing so at a much slower rate, which has allowed the establishment of much more complex lifeforms. A meteorite found in Antarctica in 1984 (dubbed ALH84001) has been shown to have a chemical composition very similar to that on the surface of Mars, including bubbles of trapped gas consistent with an early Martian atmosphere, and seems to have been blasted into space (and thence to Earth) by an asteroid or comet collision with Mars. Interestingly, the rock also shows evidence of what appear to be microscopic wormlike formations, suggesting fossilized Martian bacteria. Although it now seems unlikely that this represents the first evidence of life from outside the Earth, research on the meteorite has shown that Mars almost certainly had a magnetic field over 4 billion years ago, and so may well have had an atmosphere more conducive to the origination and development of life. Smaller and more distant from the Sun, life may have been able to develop on Mars much earlier than on Earth, and may have seeded the Earth, possibly multiple times, during the early period of bombardment. While it seems that life is unlikely to have originated in any of the other planets in the Solar System, due to the extreme and inhospitable conditions they manifest, conditions on some of the moons of those planets may be more conducive to life. The surfaces of three of Saturn's moons, Enceladus, Europa and Titan, as well as Neptune's moon, Triton, and several other smaller moons, asteroids and comets in the Solar System, appear to be rich in a substance called tholin, a reddish-brown, non-biological organic material which contains the chemical building blocks for life to begin. Zapping the kinds of gases which are found on these moons (methane, nitrogen, etc) with electricity or ultraviolet radiation readily produces tholin in laboratories. A wide variety of soil bacteria are able to use tholins as their sole source of carbon, and it can also act as an effective screen for ultraviolet radiation. It has even been postulated that the organic molecules which made up early life on Earth originated in other star systems. In 2004, a research team detected traces of polycyclic aromatic hydrocarbons (or PAHs) in a distant nebula, the most complex molecules so far found in space, and a very large range of molecules, including cyanide compounds, hydrocarbons and carbon monoxide, have been detected in the formation of a Sun-like star. Such research is still at a very early stage, though. A recent experiment, led by Jason Dworkin, subjected a frozen mixture of water, methanol, ammonia and carbon monoxide to ultraviolet radiation, attempting to mimic conditions found in an extraterrestrial environment. This combination yielded large amounts of organic material that appeared to self-organize, and to form cell membrane-like bubbles when immersed in water. The bubbles were also found to glow or fluoresce when exposed to ultraviolet light (perhaps a precursor to primitive photosynthesis? ), as well as providing a protective layer to diffuse any damage that might otherwise be inflicted by the ultraviolet radiation, which would have been vital in an early world without an ozone layer. Harvard astrophysicist Abraham Loeb has painted a convincing picture of the early universe in which conditions were ideal for the existence of bacterial or other life. Some 15 million years after the Big Bang, for example, the ambient temperature of space would have been similar to that of a summer's day on today's Earth, bathed in a gradually cooling but still warm cosmic microwave background radiation. If rocky planets could have formed this early in the life of the universe (and Loeb argues that "islands" of denser matter could have existed quite early in the universe's existence, leading to the early creation of heavier elements and rocky planets), then these balmy temperatures would have effectively extended the habitable "Goldilocks zone" to the whole universe, allowing for the existence of liquid water regardless of a planet's proximity to a star, and creating ideal conditions for the formation of life. The SETI Institute (Search for Extra-Terrestrial Intelligence) has been monitoring the universe for over 50 years, looking for signals being deliberately beamed towards the Earth. Results have been perhaps underwhelming, although in 1977 what has become known as the "Wow!" signal was recorded from the constellation Sagittarius. It lasted 72 seconds (the full duration the radio telescope was pointed at it), has never been repeated since and is still unexplained. In 1997, an apparently engineered signal was recorded at Greenbank Observatory in West Virginia, but it actually turned out to be from an orbiting satellite which had been overlooked. 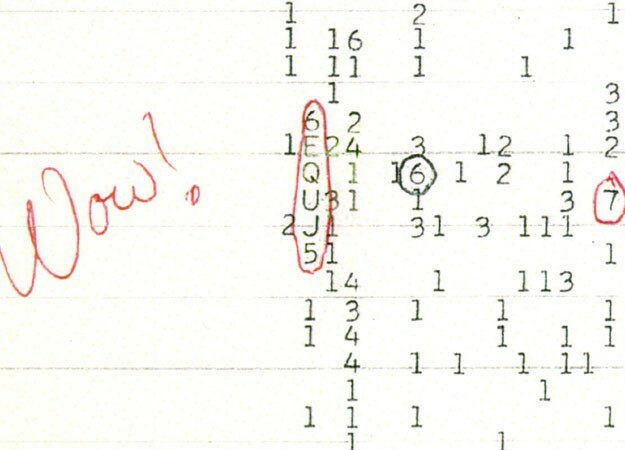 Given the time that such signals would require to reach us, many scientists (even within SETI) argue that this apparent lack of results is perhaps not unexpected, and there is always the possibility that alien races and technologies may well have come ... and gone. However small some of these fractions may be, the number of stars R* and the duration of civilizations L may be so huge as to make the probability of communication from other intelligent life in our galaxy (and certainly beyond) all but a sure thing. However, there is still considerable disagreement on the values of most of these parameters. We are beginning to find evidence that our solar system may not be untypical of other planetary systems throughout the universe, opening up the possibility of other life “out there”. The search for other planets, though, is a daunting prospect, especially because the brightness of stars tends to hide any small nearby planets. In recent years, though, techniques have been developed allowing the easier identification of potential life-supporting planets, including star wobble, redshift measurement and brightness dimming as a result of planetary transits. It was as recently as 1992 that astronomers identified the first planetary system outside our own, but since then one discovery has followed another in an accelerating trend: in 1995, a Jupiter-like planet was found orbiting a sun-like star; the first terrestrial planet outside our own solar system was discovered in 2005, followed by several others; in 2007, the first Earth-sized “Goldilocks” planet (a planet just the right distance from its star to allow liquid water to exist) was discovered; etc. To date, over 450 (and counting) have been identified. The hunt continues, and indeed is intensifying. The innovative Allen Telescope Array is being built at Hat Creek, California to expand SETI's monitoring capability, and the Kepler Space Telescope was launched in 2009 with a remit specifically to look for other possible Earth-type planets, but so far there is still no real sign of extra-terrestrial intelligent life.